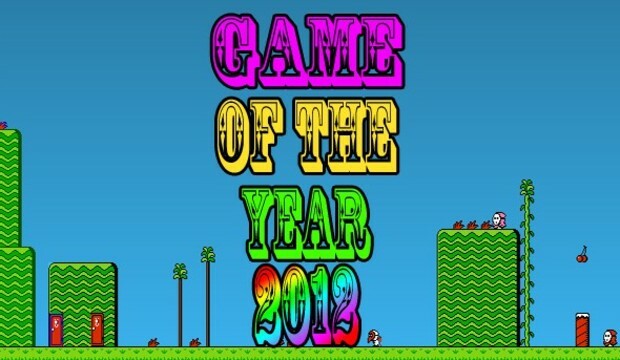 The people out there who say that 2012 was a ho-hum year for gaming are complete morons. I think this was an absolutely incredible year, with some of the standout games of this entire console generation. Developers have really started to hone their craft at this point, and that has allowed them to deliver us outstanding games that take full advantage of everything the current consoles have to offer. What�s even better is that independent developers are really coming into their own, and now more than ever, there are numerous ways for them to get their games out to the public. Four of my top five games all come from indie developers, and that is pretty shocking for me considering I don�t typically play indie games. I like the glitz and glamour of triple-A titles, and don�t typically go for low-budget indies. I guess that all changed this year. Let me just say that my top 10 list is by no means going to surprise anyone. There are a couple of standout games that didn�t make my list, like Dishonored and Far Cry 3, simply because I didn�t have time to play them. That�s something I hope to rectify in 2013. For how though, I hope you enjoy my list for my favorite games of 2012. If you have followed me on twitter in 2012, you would think that Darksiders 2 was my most hated game of 2012. All I seemed to ever do was complain about how buggy it was, or how the level design was boring and uninspired. The truth is though I really enjoyed this game, so much so that I played it through to completion twice. I really enjoyed the art direction, the combat, and the weapon creation system. 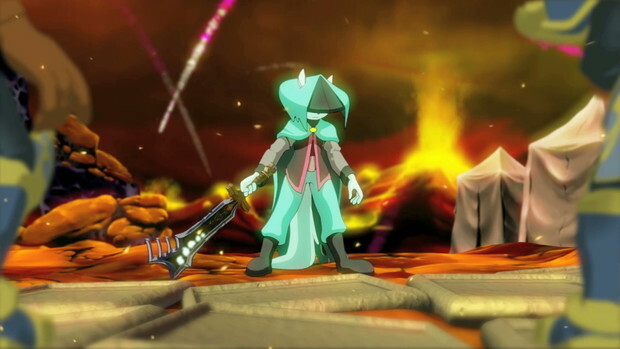 It also had some of the best boss fights of 2012. All of that helped it just edge out Mass Effect 3 and make it into my top 10 list. This is another polarizing game for me, which I both hated and loved. I hate that the game started extremely slowly and that Ubisoft still hasn�t nailed the Assassin�s Creed gameplay, even though this is the 5th game in the series. For a game about stealth, I feel like it�s next to impossible to be stealthy, which drives me insane. I also feel like there are too many overlapping gameplay systems in place, and Ubisoft needs to cut things back a bit. However, the story was engaging, the visuals were breathtaking, and there were a ton side missions which kept me coming back for more. The world was also incredibly realized, and full of life. I loved just hanging out in Boston and New York and seeing what life was like in those cities. Let�s not forget about the boat missions, which were some of my standout gaming moments of 2012. There�s no other game on this list that I can say I beat a total of 7 times this year. 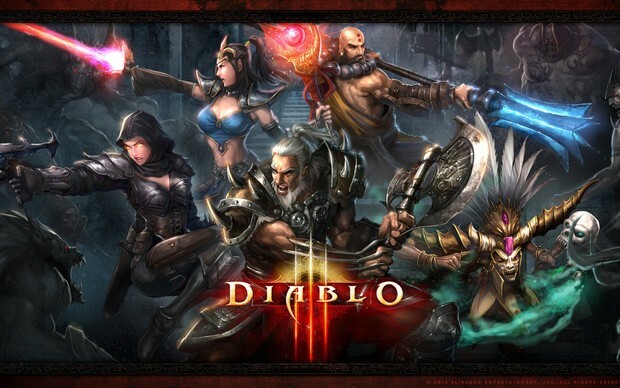 Diablo 3�s ability to crank up the difficulty, forcing you to completely relearn and reevaluate how to play the game, made me constantly want to come back for more. My favorite part of the game though was the 4-player co-op, which took the game to a whole other level. People who played Diablo 3 solo did not really get to experience this game proper. Sure the solo gameplay was serviceable, but it paled in comparison to the fun of teaming up with others to take down the hordes of enemies Blizzard throws at you. If it had not been for a large list of standout indie games that really captured my heart this year, I am pretty sure Borderlands 2 would have been #2 on my list. It is by far the best FPS of the year I played. 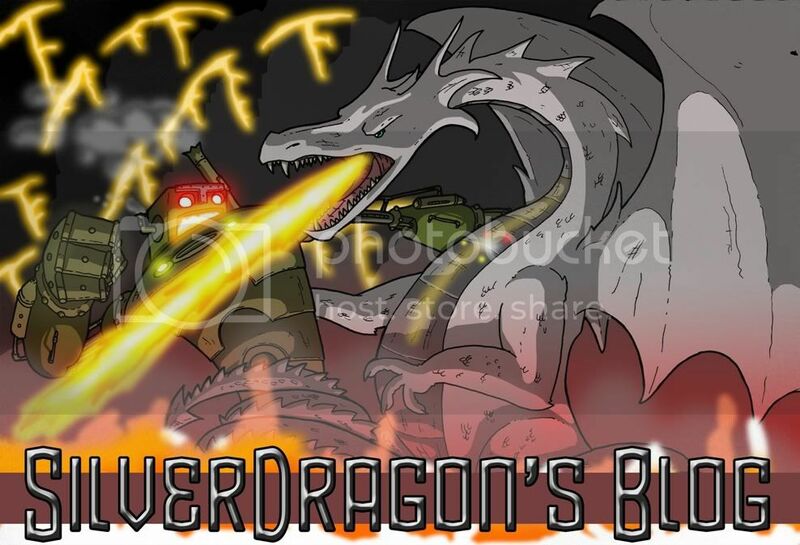 The weapons were absolutely fantastic to wield, the levels were beautiful to look at and immense in size, and the enemies were very smart and tough to kill. It also had one of the best main bad guys in 2012. This game essentially improved on every single aspect of the original Borderlands, and I probably would have played it more if it weren�t for the other games on this list. This 15+ hour game was made by a single person, can you believe that? I sure can�t, and I also can�t believe how in-love with this game I fell. I truly believe this is one of the least appreciated games in 2012. The gameplay was fast and furious, the hand drawn visuals were absolutely gorgeous, and the story was dark yet very touching. There aren�t enough Metroid-vania style games out there, so when one comes along that has such high production value, people need to take notice. Go out and buy this game people. It�s worth your time and your money. When I first started playing Fez I thought it was a cute little platformer with a unique 2D/3D gameplay system in place. I didn�t fall in love with it though until I had that eureka moment where I realized it�s actually so much more. Solving puzzles in Fez and figuring out all the hidden secrets were some of the standout moments I had in gaming in 2012. This is also the only game this year I actually pulled out pencil and paper for and started jotting things down to help me play it. I could have gone to the internet to figure things out, but I was determined to do it on my own. Sure I cheated a couple times, but it was so much more rewarding when I figured things out on my own. I can say, without a doubt, that Mark of the Ninja is the best �stealth� game ever made. It constantly relays information to you to let you know exactly how stealthy you are being, allowing you to become a deadly assassin killing everyone in his path, or a silent ninja who moves through the shadows never killing a single soul. This is the one game this year I played over and over to try and perfect every level. The challenge of trying to kill every enemy without ever being seen, or get through an entire level without killing a single enemy, was invigorating. There are a lot of things that games like Dishonored and Assassin�s Creed could learn from a game like Mark of the Ninja. 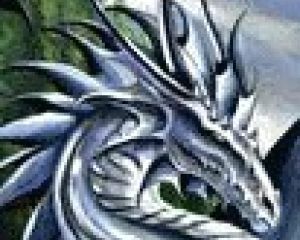 I just need to play this game for one � more � turn. 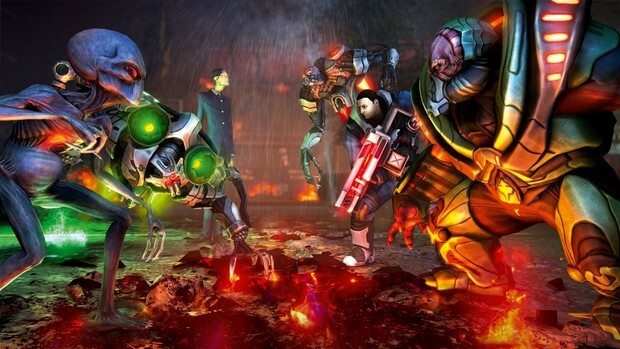 That�s how I feel every time I sit down to play XCOM: Enemy unknown. It does such a good job of always keeping you on the edge of your seat, wondering if you can continue to hold everything together as the alien invaders are constantly trying to bring everything around you crashing down. Countries are panicking and threatening to pull their funding, some of your best men are out injured because of a damn alien grenade blast, and you are just days away from finally finishing construction of a new fleet of alien fighter jets, when suddenly a report comes in of multiple alien abduction sites all over the world: WHAT DO YOU DO!!!! Situations like this are why XCOM is one of the best games of the year. Oh yeah, did I mention the turn based strategy gameplay is absolutely outstanding! More than anything, 2012 was a year about how I felt when I played games, and almost no other game exemplifies this more than Journey. I played this game from start to finish in one two hour sitting, and in that time I felt loneliness, companionship, sadness, joy, I laughed, I starred on in disbelief, I yelled, and I almost cried. That�s a lot of emotions to experience in a two hour period, and I experienced them all with someone who I never even met, and never got a chance to talk to. The only communication we ever had was the small chirps I could use to express whatever emotions I was experiencing at the time, including my enjoyment of one of my favorite games of 2012. I find it funny that my favorite game of 2012 was played entirely on my iPad. How far have we come when one of the best games of the year can be experienced on everything from a PC, PS3, and Xbox, to an iPad and iPhone. These are truly great times to be a gamer. What can I say about the Walking Dead that hasn�t already been said? It has won Game of the Year honors at multiple websites, including Destructoid and it�s changed the way people view story telling in games forever. I feel like I have nothing else to add to the discussion, except to tell you my personal experience with it. One of the best things about Walking Dead for me was that my wife was playing it at the exact same time as I was, experiencing her own version of the story. We would always argue over who would get to play each new episode first, but we would never spoil it for the other person. Whenever we were both done we would then sit down and discuss what happened in our versions of the story, describing the different choices we made and why we made them. These discussions became my favorite gaming moments in 2012, and they didn�t even happen in a game. 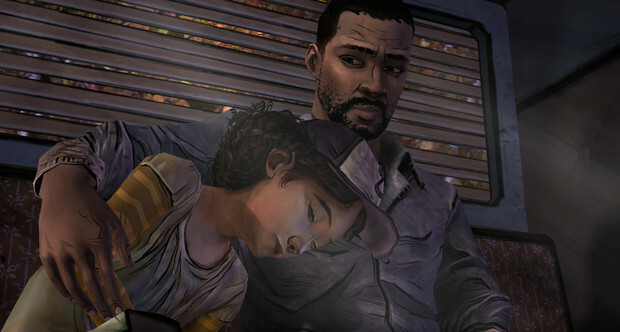 That is why The Walking Dead wins my award for the best game of 2012. Games I didn�t play I wish I had: Guild Wars 2, Dishonored, Far Cry 3, FTL, Sleeping Dogs.